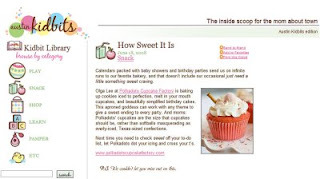 Polkadots Cupcake Factory, Austin - TX: Polkadots - A Cupcake Factory is coming to Austin! 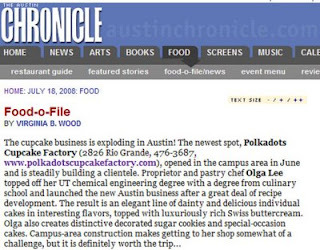 Polkadots - A Cupcake Factory is coming to Austin! We are excited to let you know that we are coming to serve the Austin Community May 2008. Our future location will be in the heart of The University of Texas at Austin. We will be serving lots of different kinds of cupcakes, gourmet coffees and teas, also birthday cakes and custom made iced cookies.